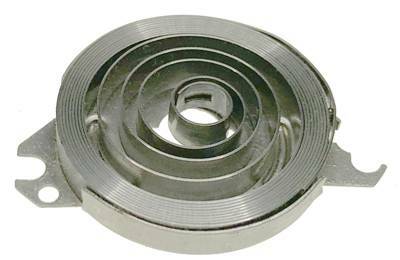 Mainspring in barrel-no arbor. Hole end. Measures 4.2mm wide x 0.25mm thick. Fitted in 28mm diameter nickeled barrel. Regularly $20.00. While supplies last.